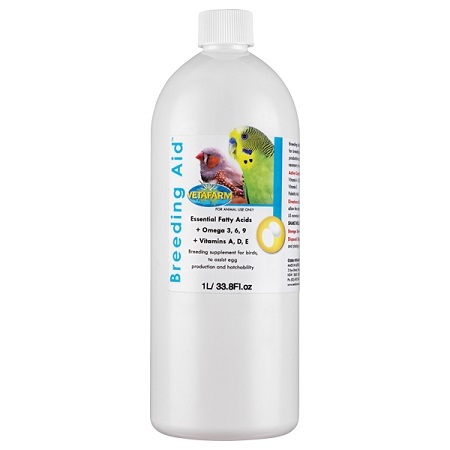 Breeding Aid is a special formulated blend of essential oils, fatty acids and vitamins for breeding birds. Linoleic, Palmitic, and Oleic Acids are known to increase the size and quality of eggs where a deficiency occurs. Adequate vitamin intake is necessary for normal egg production. Directions: Mix 20 ml of breeding aid per 1 kg (1.5 oz to 5 lbs) of seed thoroughly by hand and allow the mixture to sit for 12-247 hours to maximize seed absorption.